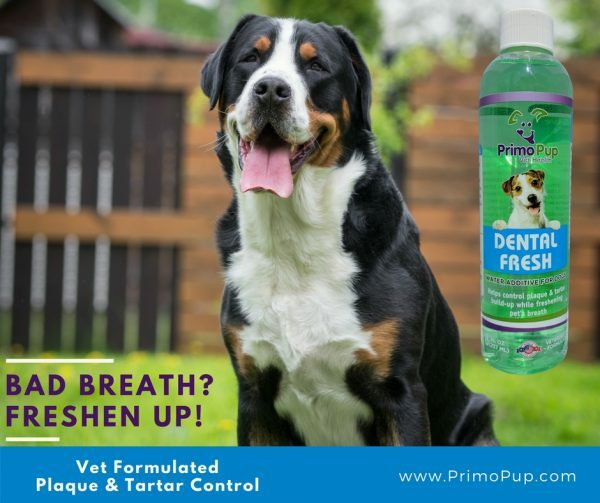 Gives dogs daily oral hygiene care by helping to control plaque and tartar and freshen the pet’s breath in an easy to use formula – just add to the dog’s water each day. 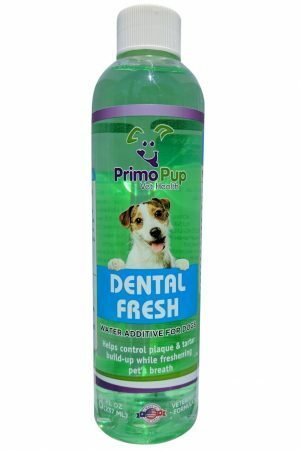 ⇒Helps control plaque and tartar build-up. 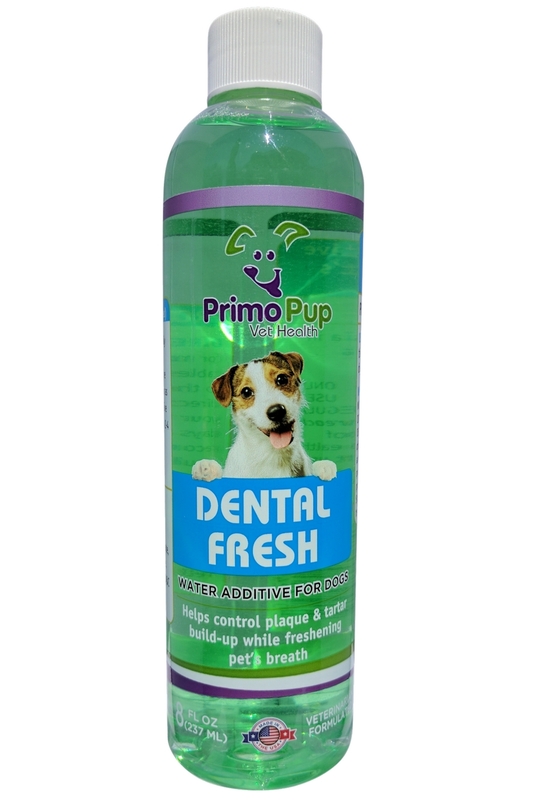 ⇒Reduces bad bacteria in pet’s mouth. 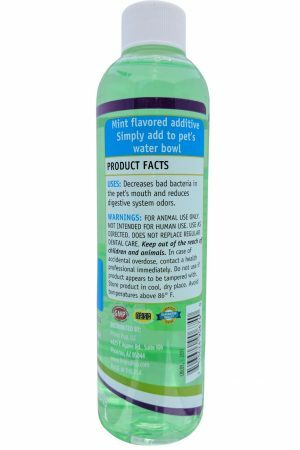 ⇒Mint flavored additive, simply add to pet’s water bowl. Use daily for maximum benefits. 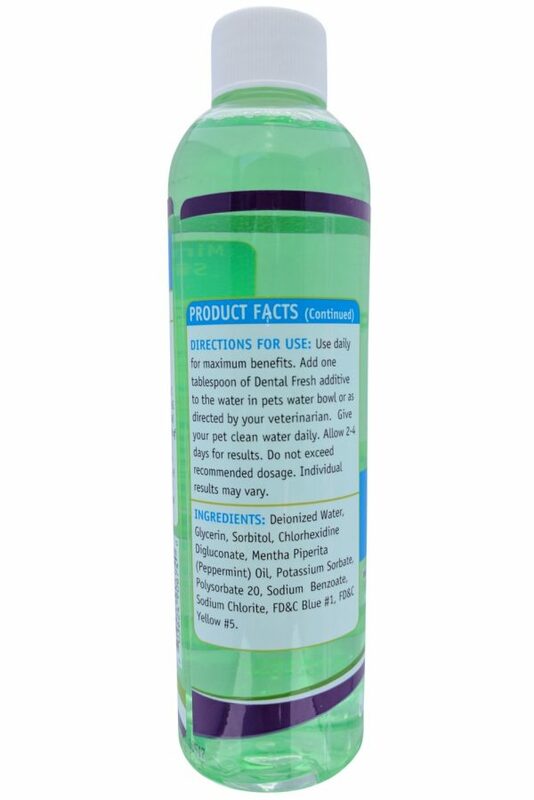 Add one tablespoon of Dental Fresh additive to the water in pets water bowl or as directed by your veterinarian. Give your pet clean water daily. Allow 2 to 4 days for results. Do not exceed recommended dosage. Individual results may vary. 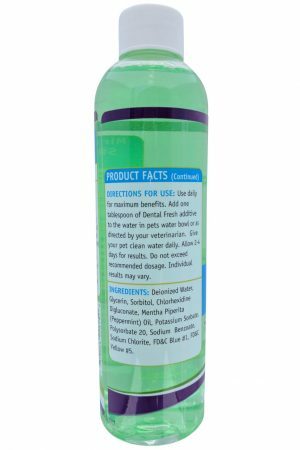 Deionized Water, Glycerin, Sorbitol, Chlorhexidine Digluconate, Mentha Piperita (Peppermint) Oil, Potassium Sorbate, Polysorbate 20, Sodium Benzoate, Sodium Chlorite, FD&C Blue #1, FD&C Yellow #5. Sometimes it takes longer for the product to work. Both my dog and I are very happy with daily use! Bottle says it takes several days. After one week, I wrote a review and was not 100% sold on this product. 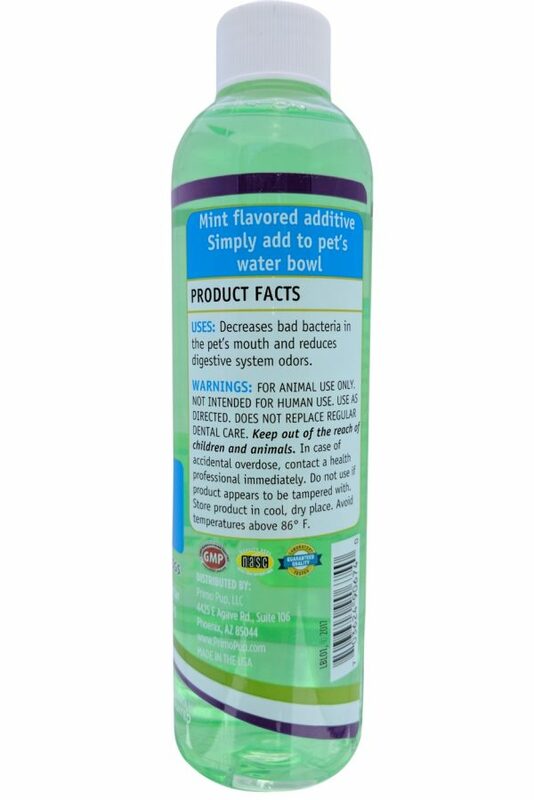 My dog’s breath was still terrible. Well, I kept using the product because I hate to waste anything. 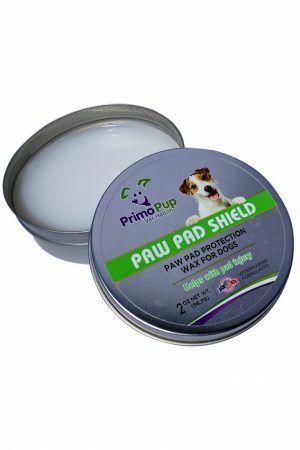 Between 2 and 3 weeks, I did notice that my dog’s breath was now much improved. 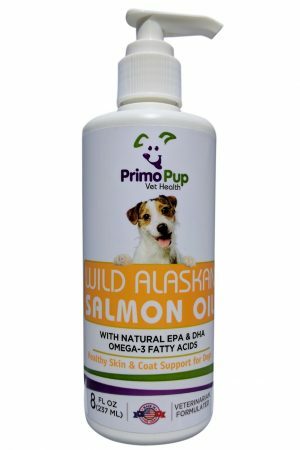 I just received my second order of Primo Pup Vet Health and will continue to be a supporter of this product. 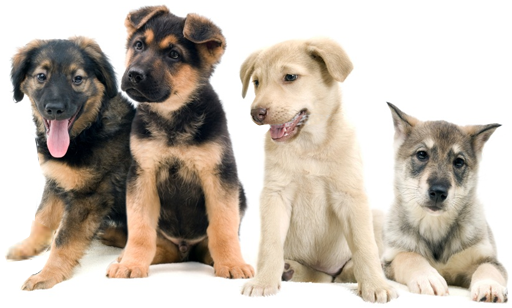 My dog’s breath was horrible – and I mean very horrible when I adopted her. Now my friends agree – no more stinky breath. My doggie doesn’t mind the taste! Nice size. Our doggie likes it. Nice size. Our doggie likes it – doesn’t seem to notice that it is added to her water! WARNINGS: FOR ANIMAL USE ONLY. NOT INTENDED FOR HUMAN USE. USE AS DIRECTED. DOES NOT REPLACE REGULAR DENTAL CARE. Keep out of the reach of children and animals. In case of accidental overdose, contact a healthcare professional immediately.